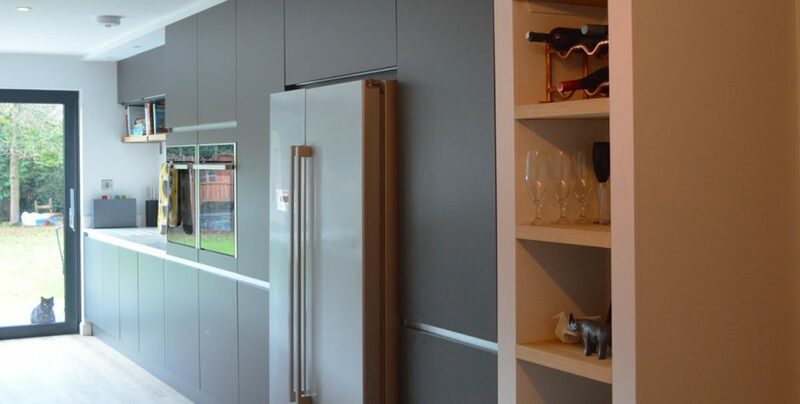 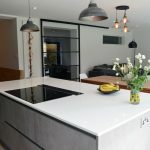 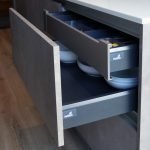 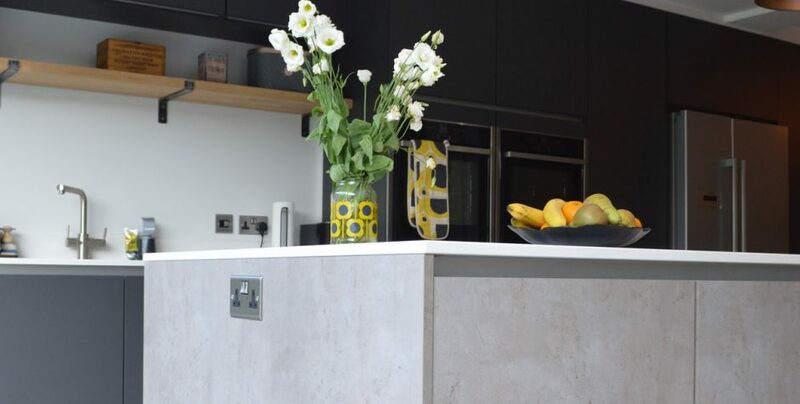 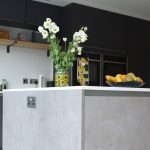 Modern Kitchen Installation in London – Dark Grey Matt and Concrete Effect. 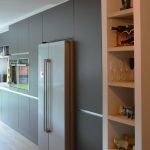 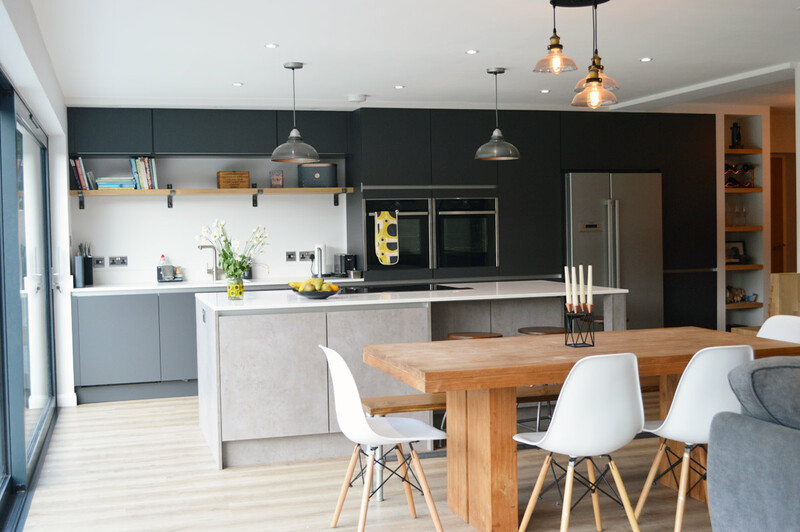 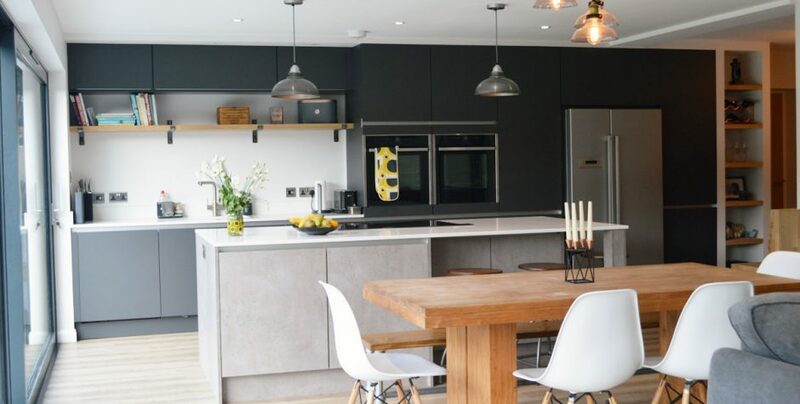 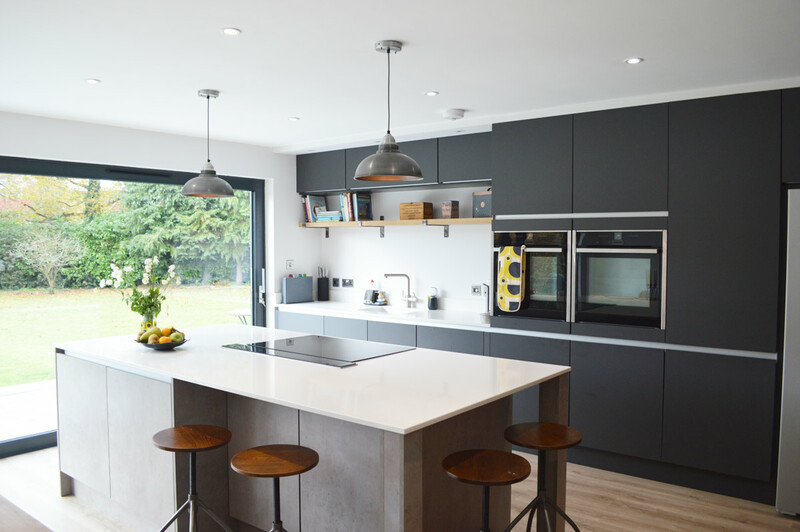 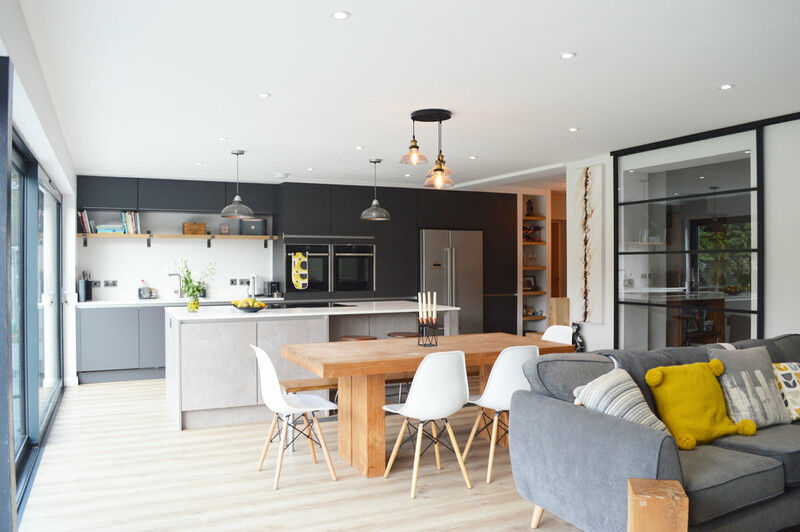 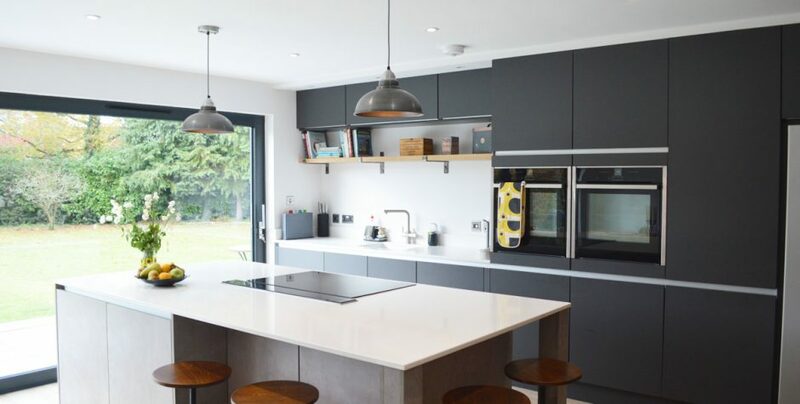 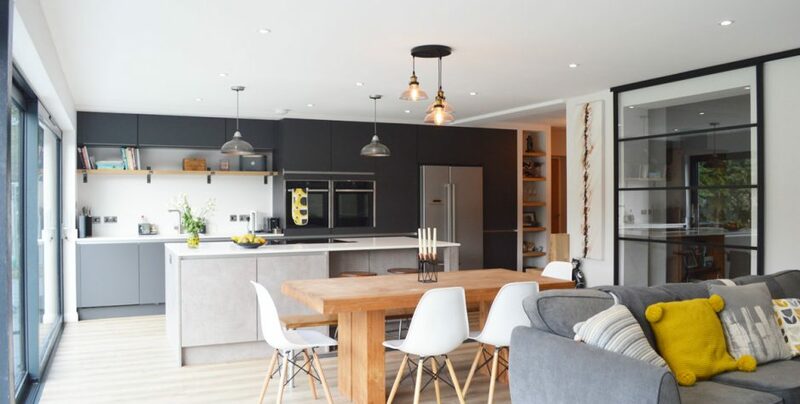 Modern kitchen in London using dark grey matte kitchen doors and concrete effect kitchen island. 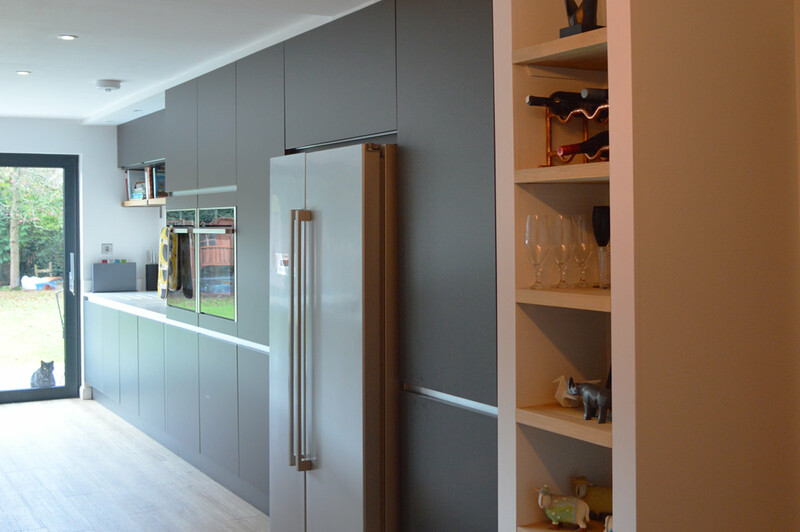 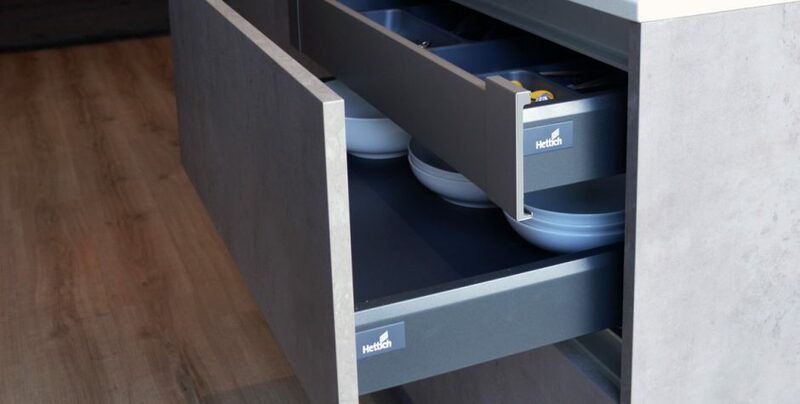 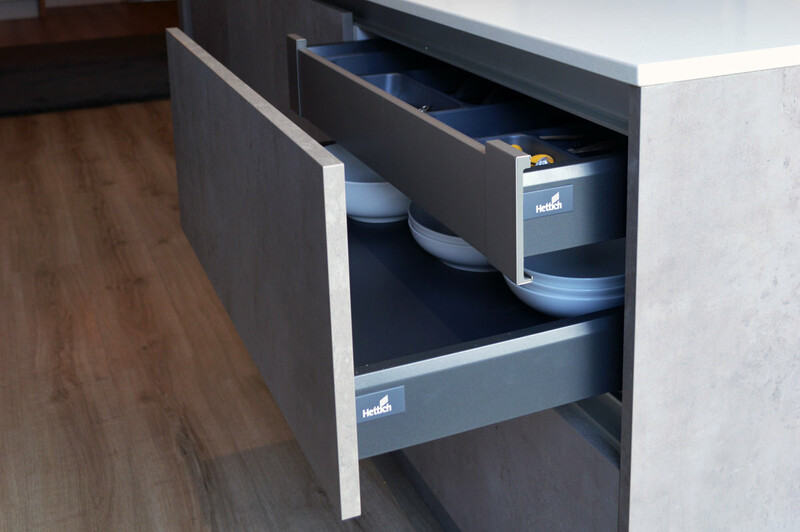 Kitchen features true handleless design which uses aluminium profiles routered into the kitchen cabinets creating German style kitchen. 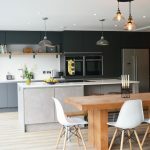 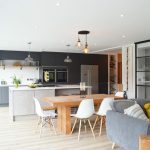 The unique feature of this kitchen is combination of super matte dark grey kitchen doors with polished concrete effect island. 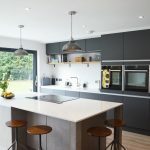 Another unique feature is use of aluminium profile which flows through all of the tall units creating a true bespoke looking kitchen. 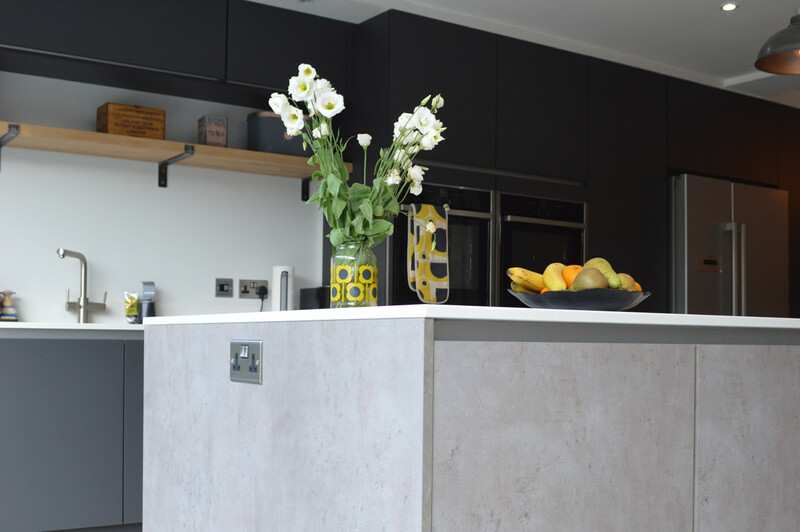 Both concrete doors and matte dark grey kitchen doors are made to measure which added to flexibility of the design and final decor. 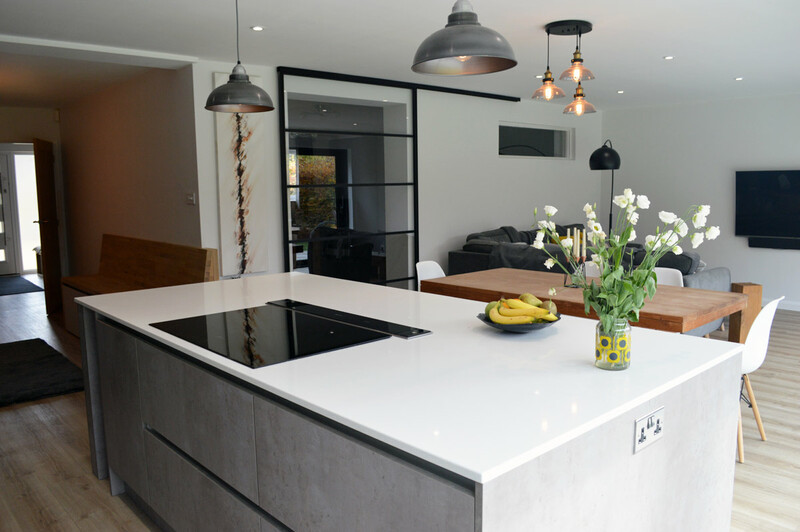 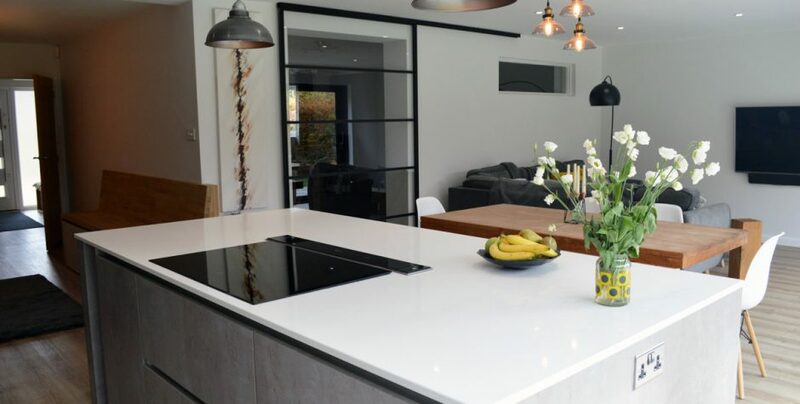 Kitchen was designed by Nikita from Honest by Design interior design company and supplied by Two Tone Kitchens.